When 50 Cent finally stabilized his position in the rap game with his “debut” album Get Rich or Die Tryin’, he commercially introduced the Guerilla Unit by way of Beg for Mercy, their first group album. We were introduced to the likes of Young Buck, an artist hailing from Nashville Tennessee (or Cashville Ten-A-Key as he would mention in his raps), Tony Yayo, a long time friend of 50’s awaiting to be released from incarceration during the time the album hit stores, and Lloyd Banks, the lyrical hitman of the group who has been able to display a sense of longevity alongside G-Unit while maturing in the hip-hop industry. 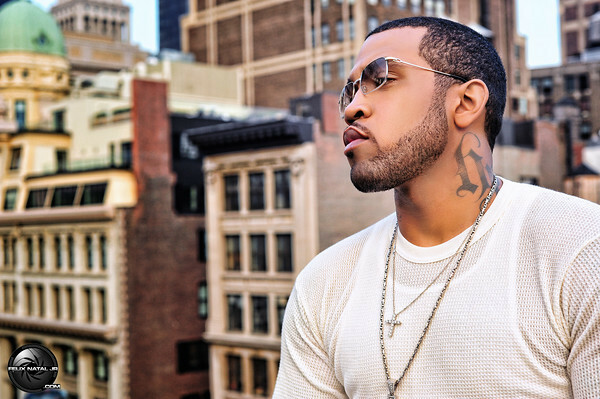 On the Beg for Mercy LP, Lloyd Banks was able to create a timeless hit that let everyone know who he was in the crew. He drafted a beautiful and marketable hit that steered away from the usual shoot ’em up antics that G-Unit was known for. Instead, he made a song which appealed to the ladies. The song Smile was produced by NO I.D. and was the beginning of a recurring formula in his music career. Banks then readied his solo career with the release of Hunger for More. The album managed to go Gold in it’s first week with a sale of approximately 465,000 copies. This LP spawned a healthy number of Hits such as On Fire, Warrior, Karma, and I’m So Fly. As of 2010 this record has reached a platinum status. A highlight from this album was the absolute last track, A Southside Story, which displayed his lyrical ability of storytelling. In the time between Hunger for More and his next LP, Banks needed to reach out to his new founded fans. We all knew who he was commercially. However, the hip-hop community and his new fans may not have been aware of his presence on the G-Unit mixtape circuit prior to Get Rich or Die Tryin’. Banks then release the Money in the Bank saga which went on for 5 editions until 2006. These mixtapes, along with others he released later on in his career, is arugably the best mixtape series done by any hip-hop artist. Out of his early tapes, he decided to be daring and touch a beat that no one else has ever re-done. He decided to do a cover for Victory. The same way Puffy introduced BIG to the track, 50 introduced Banks in a similar fashion. In the video below, he gives some insight concerning his favorite verse. 2006 wasn’t really a great year for Banks as he fell to the dreaded sophomore jinx. His second LP, Rotten Apple, failed to reach a commercial status in its first week despite a debut at the #3 spot atop the Billboard 200. This album may not have been a commercial success but it did capture the grittiness of New York City (in fact, this is probably why it wasn’t) while evoking Banks’ ability to create an album with a steady theme. A few records one should pay attention to while listening are Get Clapped featuring Prodigy from Mobb Deep, Help, Cake, Hands Up, and One Night Stand. A track that captured that the gritty nature of NYC was one that opened up the LP; survival. With no album on the streets or in stores, Banks continued to go on tour internationally and maintain a presence. The bulk of these mixtapes made me believe that Banks is a lyrical savage. In 2010 Banks decided to release Hunger for More 2, somewhat of a sequel to his solo debut. The album had a healthy amount of features and came out to be a prefect album based on the state of bubble gum rap parallel to its release. THE WHOLE ALBUM WAS A MASTERPIECE, AN INSTANT CLASSIC. My absolute favorite song was I Don’t Deserve you, featuring Jeremih. It captured late night escapades in NYC whilst an emotional struggle with a lady friend. Even after the discouraging album sales of HFM2, Banks continued to deliver with the Cold Corner 2 (which I consider an album) and V6. Both of these mixtapes are album material and display the growth of his lyrical ability, and beat selection, which are both very well constructed. At the end of the day, I believe Lloyd Banks deserves more credit. But since he works with a man who everyone loves to hate for no apparent reason, 50 Cent, no one would really want to acknowledge as an impeccable artist. Take a deeper listen into his discography and you will be surprised of what he is capable of. I just want to tell you that I am all new to blogging and definitely loved you’re web-site. More than likely I’m likely to bookmark your blog post . You definitely have superb writings. Thanks for sharing your web-site.